Over the course of his career, Mark Messier spent nearly equal time playing first for the Edmonton Oilers and then for the New York Rangers. Edmonton called him “Moose” for his stature, strength, and aggressive-style, but after his trade on October 4, 1991, New York would come to see him as “The Messiah” leading them to the promised land. When the Oilers decided they could not afford to keep Messier, they traded him for high-scoring Ranger Bernie Nicholls and prospects Steven Rice and Louie DeBrusk. The New York Times explained that Messier would continue (without renegotiating) a two-year contract for about $1.2 million each season. “No cash was involved. Just faith in a man with the jaw of Arnold Schwarzenegger and the trophy case of Robert DeNiro.” The Times proclaimed, “New York was where he wanted to be and Messier raised his hand in a victory sign today when he was first introduced.” According to the Edmonton Journal, “At the end, both sides wanted it, and got it. Neil Smith, the general manager who haggled for weeks with Oiler boss Glen Sather, called it ‘the biggest day in the 66-year history of the New York Rangers.’” The next issue of Sports Illustrated included the prediction that, thanks to the trade, the Rangers would win the next Stanley Cup. While the Rangers did not make it that season, in 1994, Messier led the team and scored the final winning goal to end the 50-plus-year drought. He had earned his first (of five) Stanley Cups with the Oilers in 1984 and earned his last with the Rangers ten years later. 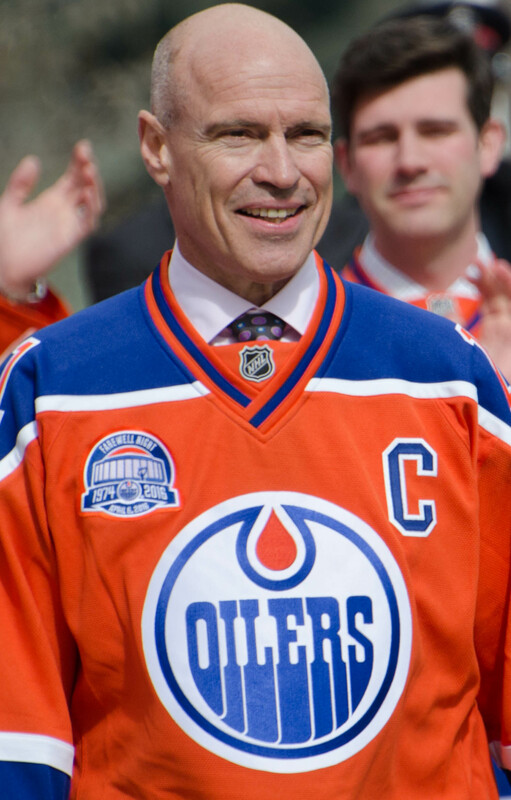 Having been made captain of the Oilers in 1988 and of the Rangers right off the bat in 1991, Messier is the only captain to take two franchises to win the championship. Upon trading Messier, the Oilers had to wait another fifteen years to make the Stanley Cup Final again. After that, they would not even make the playoffs again until 2017. Messier’s No. 11 was retired by the Rangers in January 2006 and by the Oilers in February 2007.